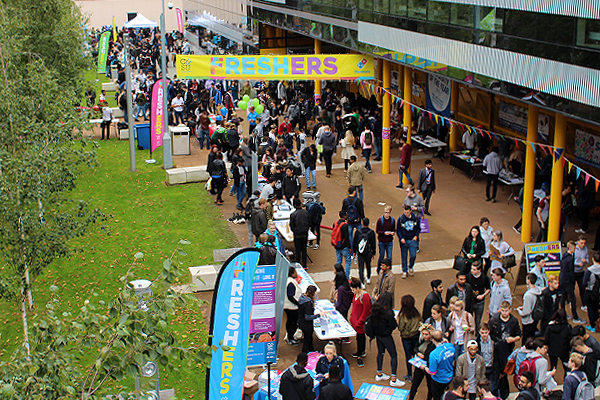 On Monday the UnCOVered team were out and about (pretending to be students and getting free pizza), but also on a hunt for some of the freshest fresher street style of 2016. With Topshop vouchers at stake for this special edition, the competition was fierce. What we loved most: Ramón struck us as one of life’s effortlessly stylish people. From his septum piercing down to his shiny shoes he was dressed to impress when we caught him, but his look probably only took him ten minutes to throw together. Some people eh? The highlights? Definitely the swanky shoes and leather satchel. The quintessential student style icon, you can get your satchel here (psst did you know you can get vegan satchels too?). Practicality rating: 5/5 This outfit suits running from lecture to lecture down to a tea. Winter is coming rating: 4/5 A pretty toasty looking collection of clothes for the oncoming winter… Those ankles are going to be craving socks pretty soon though. What we loved most: The bright white trainers paired with the all-black ensemble. This outfit is the perfect combination of casual and smart. Mariyana is another person who looks like she must be this sophisticated naturally. But we’re praying it takes her at least a little chunk of time to get ready in the mornings! Although she says she bought her outfit in a boutique in Sofia, you can buy loads of reasonably priced faux and real leather jackets on ASOS at the moment. And you can use your student discount too. Practicality rating: 5/5 We were really impressed with how sensible everyone was being, trainers were definitely the shoe of choice for Freshers this year. Again, this look definitely means you could rush across campus in comfort, which is something to consider when you get ready in the morning. Winter is coming rating: 4/5 Maybe a jumper under the leather jacket will be needed for extra toastiness as winter approaches, but you’re definitely prepared for the cold in this outfit Mariyana! Practicality rating: 5/5 These ladies proved you can be explorative with fashion and still be mega comfy in class, or while getting from room to room. Winter is coming rating: 3/5 Those ripped jeans might need some leggings underneath as winter rolls in, but we’re sure these three have got their winter wardrobes all figured out. What we loved most: Luis’ confidence, which matched the bold reds in his outfit. From cap to trainers, he’s a prime example of how to do coordination well this autumn/winter. 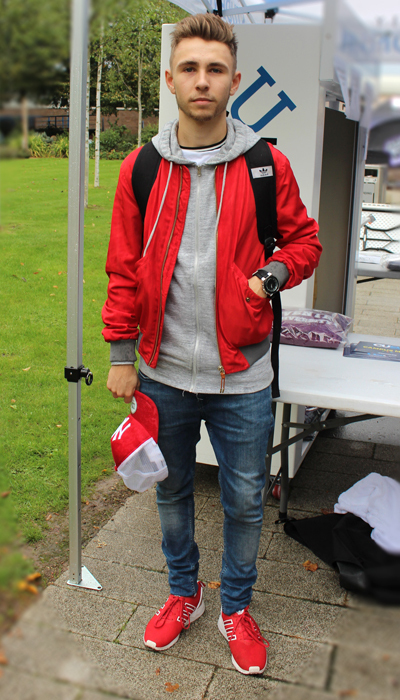 If red’s the colour for you, Luis says he likes to shop on ASOS, so take a look on there if you want to add some colour-popping statement items to your wardrobe. He told us he’s an avid Chelsea supporter, so maybe this is too much red if he wants his fashion choices to reflect his team, but we wouldn’t change it! Practicality rating: 5/5 Top marks again. 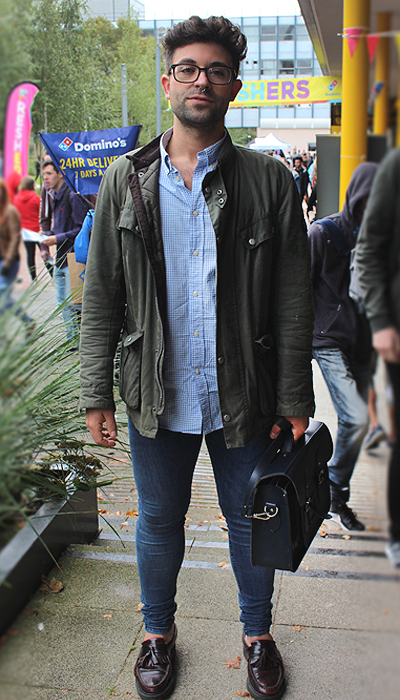 A rucksack and trainers are staples of every student wardrobe if you want to be comfortable and prepared for lectures. Winter is coming rating: 5/5 There’s nothing about this outfit that would make us think it won’t see him through the winter. Luis is a perfect example of how to do layering well, so you’re prepared for all eventualities. 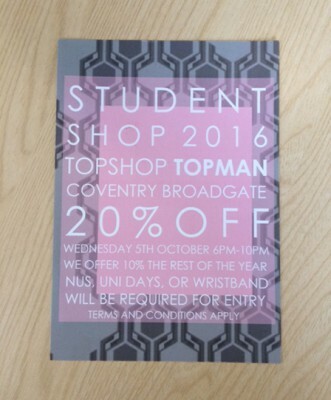 Hand-picked by the managers of Topshop and Topman in Coventry, the stores were extremely generous with their prizes, and serious about their winners. Amarachi and Luis were the judges’ favourites, but that’s not to say it was an easy decision. Topman’s manager thought Luis with his layering and use of red was exactly right for their store, and Topshop’s manager loved Amarachi’s ripped jeans and bomber. 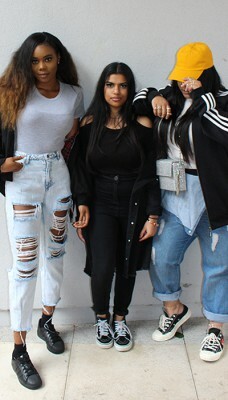 Get down to Topshop this afternoon for a live DJ and entertainment while you shop! Wednesday 5th of October is Student Night here at Coventry Broadgate and Topshop Topman are calling all students for an exclusive shopping experience between 6pm – 10pm. 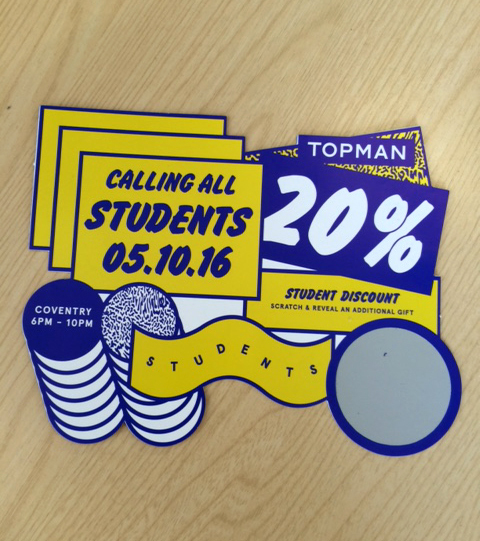 With an amazing 20% off, Topman are also giving away these student scratch cards where you can win up to £50 off your shopping… with no minimum spend!!! So put this event in your calendar and head over there to collect one of these scratch cards and win!! !